Top Notch Material: SuperWubble Bubble Ball Review- Enter to Win! 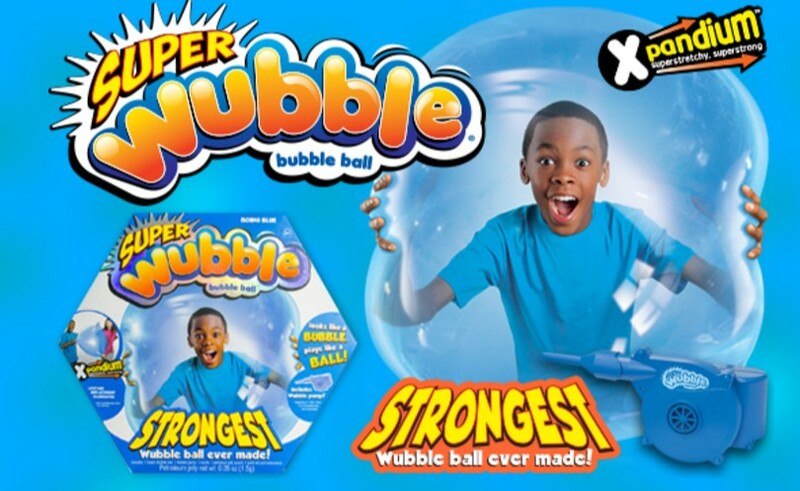 SuperWubble Bubble Ball Review- Enter to Win! My three year old loves Wubble Ball but we have never had a SuperWubble until we just received one for review. As you can imagine, the three year old was thrilled with it! He hugged it and said, "I love my Wubble!" as soon as we received it. Our previous Wubbles have not lasted that long in this wild and rambunctious house, but the SuperWubble has lasted quite some time! As you can see in the pictures, it has been bounced, thrown, sat on, loved on and everything in between and it has certainly not popped. Anything but! It is still around and bring hours of enjoyment to our three year old and one year old. I think we are going on three weeks strong right now, and loving every second of it. I admit, I like this thing too! It is awesome, feels cool and I love how squishy it is and how fun it is to toss around. Like the original Wubble – which was named the #1 Selling Sports Activity Toy for 2015 by the NPD Group – new SuperWubble is soft and lightweight and can be inflated to gigantic proportions. 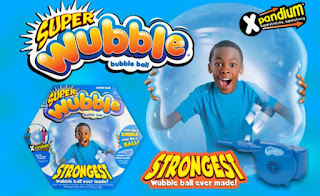 The new SuperWubble Bubble Ball is just as squishy and fun as our original Wubble Bubble Ball, but uses a new top secret Xpandium™ material, which makes it up to four times stronger and more tear-resistant. As you can see, this new SuperWubble has brought my kids so much joy, I know your kid will love it too. Pretty much anything you can think of to be done with a super fun, super squishy ball can be done with this SuperWubble. You can play a game of freeze tag, or catch with the Wubble and nobody will get hurt. This makes the perfect Christmas gift for kids, or even a funny Dirty Santa gift for your office gift exchanges this year! SuperWubble is running a great giveaway you can enter here. Please note this giveaway is not affiliated with Top Notch Material and winner is not chosen by us. Disclosure: The above item was received in order to facilitate review. I have not been compensated for this post. Top Notch Material blog will always provide honest opinions, beliefs or experiences on products reviewed. We will only recommend products or services that we feel are of benefit to our readers. If you have any questions, please contact me at nursemommypaige at yahoo .com. The disclosure is done in accordance with the Federal Trade Commission 10 CFR, Part 255 Guides Concerning the use of Endorsements and Testimonials in Advertising. Me and my son have seen this on commercials every where but have never tried it for myself. It seems like a big ball of fun. Who doesnt love bubble and the fact that you can actually play around with them and not pop them is an extra humongous plus.